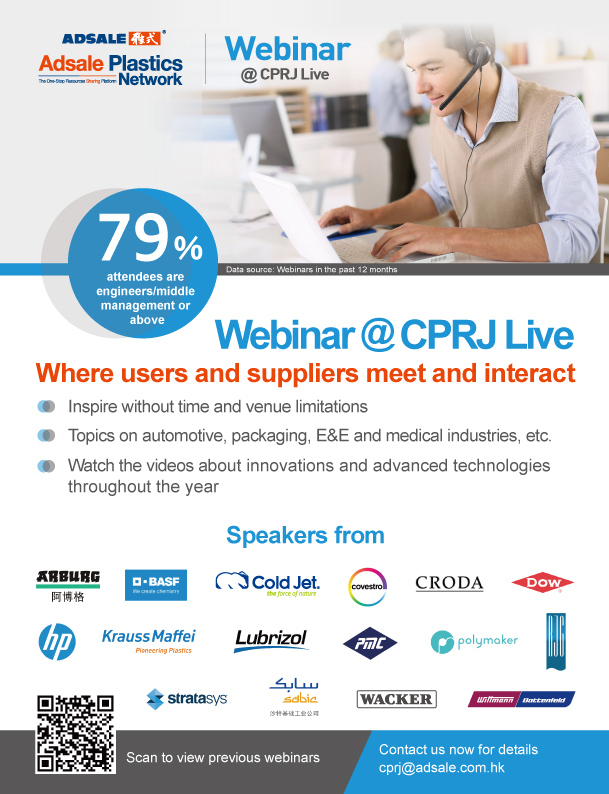 Third party suppliers: solution providers, testing services companies, etc. Haiming Sun,	Composite Product Expert of Dongfeng Faurecia Automotive Exterior Co., Ltd.
Lightweight materials and technologies for interior and exterior products will be introduced. Weidong Shen,	Senior R & D Director, Senior Engineer (Professor), Shanghai Volkswagen Automotive Co., Ltd.
Wei Wang,	Person in charge for smart manufacturing of Yanfeng Plastic Omnium Automotive Exterior Systems Co., Ltd.
Wesley Zhu,	Team Leader of Material Technology Development, Brose China Co., Ltd.
Yupeng Liu,	CTO,	Ningbo Shuangma Machinery Industry Co., Ltd.
Jialiang Li, Sales Manager of Solution apartment, Shanghai Matsui Machinery Co., Ltd. These years auto industry is also speed up for high tech introduction. Please allow me to share an example with you. Peter Chen, COO of Jinyoung, Jinyoung (Xiamen) Advanced Materials Technology Co., Ltd.
Peter Peng, Director of Two-platen Injection Molding Machine Market Development Department, Guangdong Yizumi Precision Injection Molding&Casting Technology Co., Ltd.
Felix Wang, General Manager China, Gimatic Automation Engineering (Changshu) Co., Ltd.
Jack Liu, Automation and Application Engineering Director, Demag Plastics Machinery (Ningbo) Co., Ltd.
Benjamin Lee, Vice General Manager, Fu Chun Shin Machinery Manufacture Co., Ltd.
David QI, Strategy Marketing & BD Manager, RADICI Plastics (Suzhou) Co., Ltd.
Apr. 2016 – Present Radici Plastics (Suzhou) Co., Ltd.
Kevin Li, CEO, Shenzhen Multiplus Machinery Co., Ltd.
Kiefel, one of the pioneers in the thermoforming machine industry started to produce vacuum laminating machines and tools in the early sixties. Edward Luo, General Manager, Nordson PPS (Shanghai) Co., Ltd.
Sanxi Zeng,	Chongqing Branch Operation Director,	Zwcad Software Co., Ltd.
Chungen Tan,	Senior Sales Technical Engineer,	JSW Plastics Machinery (H.K) Co., Ltd.
SHANGHAI MATSUI MACHINERY CO., LTD.
GIMATIC AUTOMATION ENGINEERING (CHANGSHU) CO., LTD.
GIMATIC AUTOMATION TECHNOLOGY (SHANGHAI) CO., LTD.
ORINKO ADVANCED PLASTICS CO., LTD.
GUANGDONG DONGTIAN TRANSFER PRINTING NEW MATERIAL CO., LTD.
SUZHOU GELEFU M & E TECHNOLOGY CO., LTD.
INTEVA PRODUCTS SHANGHAI INNOVATION CO., LTD.
WEIFANG YUYANG PLASTIC MACHINERY CO., LTD.
PETS HOT RUNNER (SHENZHEN) CO., LTD.
DONGGUAN JEA POLYMER TECHNOLOGY CO., LTD.
JSW PLASTICS MACHINERY (H.K) CO., LTD. 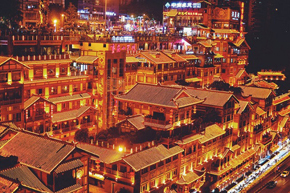 Located on the bank of Jialing River in Shapingba district, Chongqing, Ciqikou ancient town is rich in Ba and Yu culture, religious culture, sand and magnetic culture, red rock culture and folk culture. There are traditional performances such as oil extraction, silk drawing, sugar making, dough kneading and Sichuan opera, as well as various traditional snacks and tea houses, etc. The annual Spring Festival held at Ciqikou temple fair is the most distinctive traditional activity, attracting tens of thousands of people to participate. Formerly known as Hong Ya Gate, Hong Ya Dong is one of the ancient city gates of Chongqing, and is located at Chongqing Jiefangbei Cangbai Road. The road is located at Binjiang district which is the intersection of the Yangtze River and Jialing River. The area is a combination of sightseeing and leisure resort. 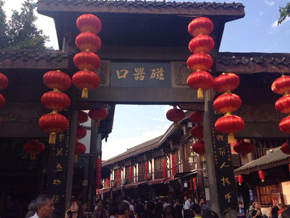 There are many stilted buildings, antique commercial streets, etc.